Time for a New Deck? How to Know When Your Deck is Calling It Quits. Many of the decks we build are replacements of decks that have reached their natural ends. While some signs might be obviously done for, the trick is noticing the earlier signs of failure that might be harder to spot. Most of the issues that plague decks are rot-related. And the areas most vulnerable to rot are the ones made of wood. While the main usable surface of the deck can be constructed of a durable composite such as TimberTech, the frame is typically made of more-susceptible wood. To keep your deck from catching you by surprise, here are a few things to look for. Your deck’s foundation is its posts. 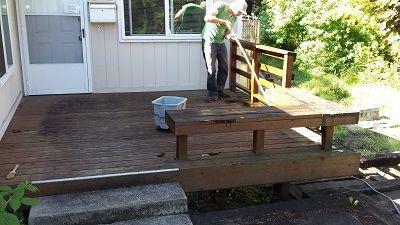 So if those are rotting, it may actually result in an unstable and unsafe deck. Because posts are the first place you’ll notice rot but the last place rot will affect, there’s a good chance rot is setting in throughout the deck. The joists of your deck are the beams of wood that run perpendicular to the main structural supports (which are also typically composed of lumber). The joists and crossbeams are what spread the load over the entire area of the frame. If you notice a weak spot in the deck, that could mean that rot or other weakening has affected the support system beneath the surface. Often the first tell that a new deck is in the cards is a weakening to the rails. If once-stable rails are flexing when leaned on, that could either mean they weren’t installed quite correctly and are succumbing to the effects of being everyone’s favorite spot to lean on, or – you guessed it – there’s rot beneath the surface. 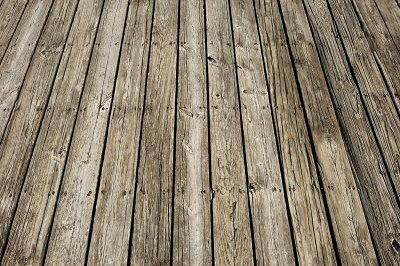 If you’re unsure if your deck is on its last legs, call up EvoSiding to come out and take a look. One of our decking specialists will be able to quickly tell you if a repair could help, or if replacement is the better option.